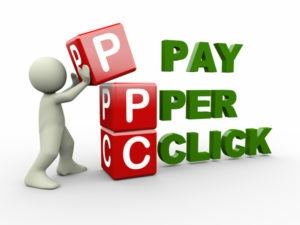 Pay-per-click advertising can be an excellent way to drum up new business for your company without spending a fortune. But, a pay-per-click marketing campaign needs to be well-constructed if it is going to generate the maximum return on your investment. There is absolutely no point in paying for advertising that isn’t effective. The experts at Contractor 20/20 know how to design the pay-per-click advertising campaign that will drive in the new customers you are looking for. We thoroughly research keywords and find the most appropriate locations for your advertisements. We place your ad only when it can be seen by the people who are actually searching for what you have to offer. We track the results and work to maximize your profits while keeping your investment at a minimum. Keyword research is probably one of the most important aspects of a good pay-per-click advertising campaign. If you are selling grapefruits, it isn’t going to do you any good to have your advertisement and website seen by the 14-year-old kid looking to buy a new bicycle. The goal of pay-per-click advertising is to get your ad in a position to be seen by the right people—the searchers who are looking for the type of product or service you have to offer—so that they can find you and call you. Contractor 20/20 is meticulous in our keyword research so that you can ensure your pay-per-click advertising campaign will yield the results your business aspires for.